This pretty floral dress from Old Navy is almost sold out, but if you happen to be an XS--it's only $15 currently. 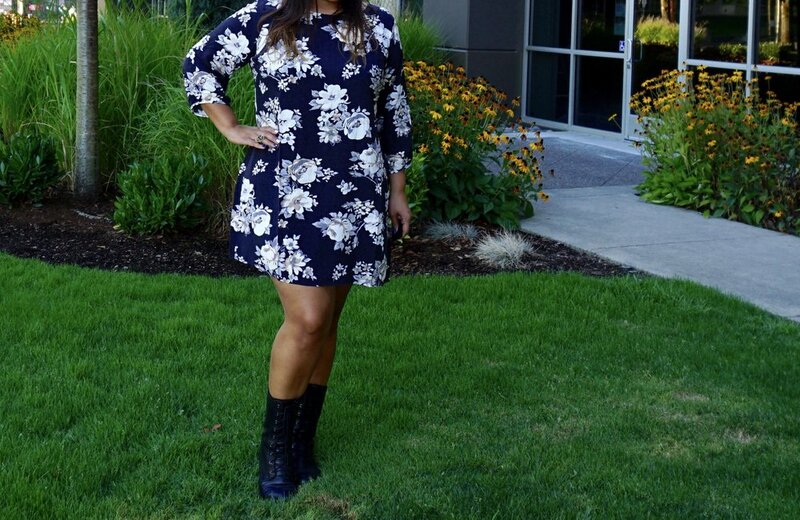 A floral dress is such an easy outfit--toss it on and some boots and you have a fall look. If it's too cold out, just add some tights too!